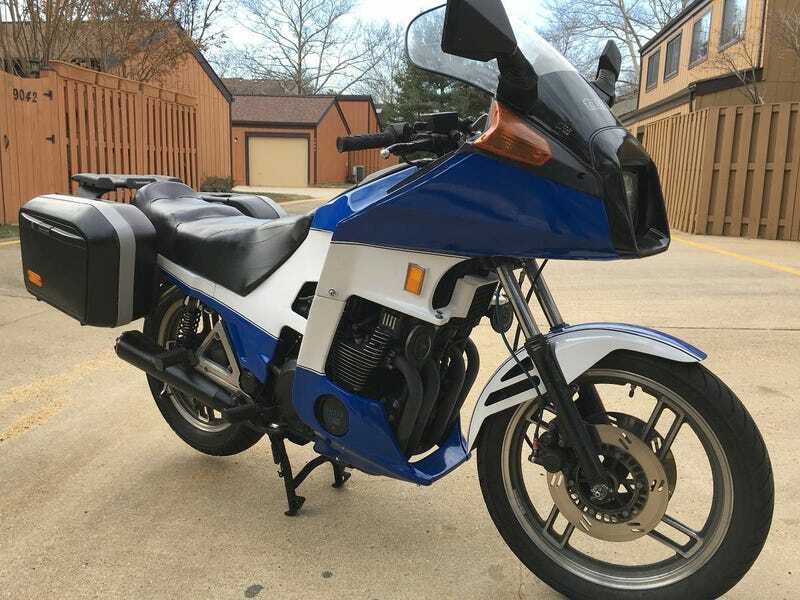 For $2,500, Could This 1982 Yamaha XJ650 Seca Turbo Put You On The Right Track? Named for one of the best race courses in the world, today’s Nice Price or Crack Pipe Yamaha is in fact not all that much of a performer. It’s still interesting, and likely fun, but is its price? When the moon hits your eye, like a big pizza pie, that’s… Evora. There was a good bit of love heaped on yesterday’s 2011 Lotus Evora, and those amorous intentions even extended to its $33,500 price. Fully 58-percent of you saw the Lotus flowering and awarded it a Nice Price win. The feeling must have pushed past our hypothetical consideration all the way out and into the real world. The seller it seems pulled the ad even while we were still espousing its virtues. Okay, thought experiment time. Ready? I want you to consider vehicles that, for whatever reason, are highly desirable and hence generally command big bucks, but which really haven’t aged all that well or maybe weren’t all that great to begin with. What I’m thinking of is cars like VW’s Type 2 Bus. That was innovative and clever for its age, but today can feel slow and wildly unsafe. Regardless, they still make serious bank. I want to put you in that mindset because here we have a bike that’s interesting for its historical significance, but which hasn’t ever garnered much of a following and hence can usually be had today for pretty reasonable bucks. I am of course speaking of this 1982 Yamaha XJ650 Seca Turbo. This bike, as well s others in its line are named Seca for the Laguna Seca race track. That track that was long a part of the Grand Prix Motorcycle circuit. It was also the track where multi-time series champion and Yamaha rider Kenny Roberts would return after his retirement to promote both the racing series and the marque. Roberts retirement came in 1983, a year after the Seca Turbo hit the streets, and it should be noted that Roberts never raced the turbo bike in any fashion. This was Yamaha’s entry in the early ‘80s turbo street bike fad, and is notable for remaining to this day being the company’s only factory turbocharged road bike. Sadly, the general consensus both at the time and today is that Yamaha kind of phoned it in on the bike. The issues were many, and included an engine that offered less displacement than the competition. That’s 650-ccs whereas competing bikes like the Kawasaki GPz Turbo typically sported 100 more. That Kawasaki was also fuel injected while the Yamaha blew through a quartet of 30mm Mikunis. Another issue was the final drive. The GPz offered a chain while the XJ made do with a shaft drive which added frictional power losses. Adding insult to injury, it also came with a drum brake in back were the Kawasaki had a disc. Both bikes weighed in at around 560 pounds, but the Yamaha’s 85 horsepower had a harder time moving that than did the GPz’s 95 ponies. On the down side, the bike’s tidy and clean blue and white color scheme does not appear to be original. The most common color for the Turbo seems to have been silver with a red stripe up the extended bodywork. It was simple but classy. The bike also featured Yamaha badging on both sides of the headlamp fairing, while a Seca Turbo badge took up residence on the side panels. This bike is missing all of its badging save for the Turbo decal above the headlamp. It does features an awesome instrument panel however, with that same Turbo script repeated in neon green just below the boost gauge and in between a 12,000 RPM tach and… 85 MPH speedo. Yeah, thanks Joan Claybrook. The odometer in that speedo indicates that the bike has seen just under 16,000 miles. Another plus—the ad notes that a bunch of spare parts are included in the sale. Yamaha offered the Seca Turbo for just two years, building about 6,500 bikes in ’82 and another 1,500 the following year. The ‘83s gave a little more of the old collage try than their older brethren with a revised suspension and 12 psi of boost to the earlier bikes’ 7psi. This is an ’82, and while it’s seemingly in terrific shape, and is a survivor of the turbo wars, it’s not the world’s best bike by any means. It’s also an old bike meaning that it lacks decades of progress on things like braking, handling, and engine management. That’s all probably why the price is $2,500. What do you think, is this Yamaha worth hopping on for that $2,500 asking? Or, is this a turbo with a price that blows? For $33,500, Could This 2011 Lotus Evora Be Your Everything?